Another extremely effective method used by Lomax Termite Control is Tim-bor®, which is an EPA registered termiticide, fungicide and insecticide made by U.S. Borax. Tim-bor is a unique product for the protection and remedial treatment of wood against all wood destroying organisms. Tim-bor can also be used for general pest control. Tim-bor® can be applied as a solution, foam or dust for wood treatment against wood-destroying organisms, and as a solution or dust for general insect control. Tim-bor, applied as a solution or foam to wood, will penetrate into the wood to various depths dependent upon the moisture in the wood and the wood species. The active ingredient does not break down, therefore as normal moisture changes occur in the wood, Tim-bor is always available to be drawn deeper into the wood over time, providing long-lasting protection. The mode of action for Tim-bor® is that of a slow-acting stomach poison to insects and a contact poison to decay fungi. Since Tim-bor® is slow-acting, TERMITES that have fed on treated wood can accumulate the active ingredient and still move among other individuals in the colony. The transfer of food from workers to nymphs, soldiers and reproductives will also transfer the ingested Tim-bor®. Affected individuals also exhibit behavioral changes, becoming sluggish, stop feeding and become moribund. Others in the colony will avoid these individuals as well as areas where these individuals have died. The Tim-bor® treated wood is not the first choice for feeding; therefore foraging termites avoid Tim-bor® treated wood. In addition, the Tim-bor® powder used as a dust in wall voids and injected into galleries is toxic to termites. DECAY FUNGI can infect and rapidly destroy wood where there are moisture problems. Some fungi can actively transport moisture from the ground or a leak to wood of lower moisture content in efforts to expand the colonization of the wood. Tim-bor® is highly toxic to decay fungi and will kill the fungi present and/or protect against future infections. Tim-bor is a unique product for the protection and treatment of wood against all wood destroying organisms. The Tim-bor Treatment provides protection because the active ingredient, Disodium Octaborate Tetrahydrate, does not breakdown. The Tim-bor solution penetrates into the wood, treating more than just the surface. Sodium Borate functions as a slow activating stomach poison in insects. It is accumulated while they are feeding. Since Borates are slow acting insecticides these termites can move throughout the colony and spread the insecticide by the feeding of nymphs, soldiers and reproductives. Tim-Bor is also extremely effective in eliminating fungus growth on wood members in the subarea. 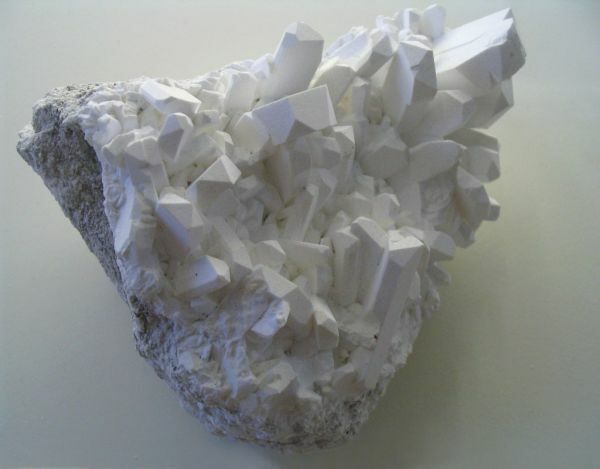 In the picture below, you can see Borax (sodium borate) crystals from which Tim-bor and other borate products are made.